Well, fear not! We are currently trying to find a way to get your questions answered. But we need your help--if you see a question that needs to be answered and you know the answer, feel free to share your insight! We have tried to facilitate the process with the "Following" tab in your profile. From the "Following" tab, you can filter out unanswered questions to answer in the topics you follow. Plus, even though the iPad promotion comes to a close today, we are looking to roll-out new ideas for promotions. You will be able to enter the same way you could with the iPad promotion: by registering and answering questions! Keep entering to win an iPad--you have until midnight Pacific time TONIGHT! We've decided to mix things up here at Experts123. We're going to start doing an Experts123 Question of the Day! If you have any suggestions for our Question of the Day, tweet the link to us on Twitter @Experts123. Today we found an interesting fact about one of the trendiest condiments to hit the United States: sriracha sauce. In fact, this will be our first question of the day. Sriracha is that spicy, thick hot sauce offered mostly in Asian cuisine, but now people are putting it on virtually everything: on hot dogs, on hamburgers, even in spaghetti! Sriracha tastes like an extremely spicy red pepper. One of our expert contributors explains that sriracha sauce is a combination of garlic, chili peppers, vinegar, sugar and salt. No wonder it's so tasty! It originated in Thailand, and the traditional Thai sriracha is thinner and spicier. Celebrities and health foodies love sriracha because it has less calories than ketchup and has been known to boost your metabolism. Here's another fun fact: the Experts123 Free iPad Giveaway ends TOMORROW! Keep answering those questions to enter to win a FREE iPad! We've gotten a lot of questions about the Assignment Desk and the difference between the different kinds of assignments available for you to take advantage of. In fact, as of today there are three different kinds of opportunities for you with Experts123. 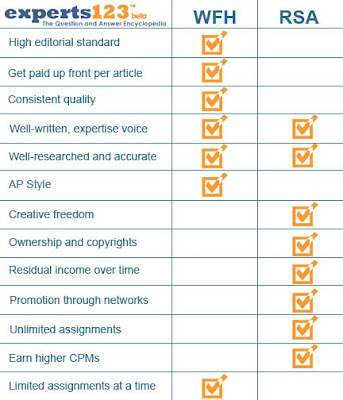 Our WFH articles represent the highest caliber assignments for the highest caliber of writers. Only writers who exemplify consistently top-notch writing will be allowed to take on WFH assignments. The perks: WFH assignments are pay-per-article. While they do have to go through a much more intense editorial review and must fit AP style, you get paid $10-20 up front to write the article. Revenue-share articles are ideal for any writer. From a selection of titles, you chose which topics that you want to write about. You get paid by the amount of traffic you get on your article. The perks: Rights. With WFH articles, you lose all rights to republish. However, RSAs are perfect for the person who wants to maintain the creative rights over the article. The Expertise Column is complete free reign for writers. You choose an area of expertise, and after it is approved, you create the titles and you create the content. You also get paid by the amount of traffic your articles receive. The perks: You choose, you write, and you promote. You have COMPLETE creative freedom. There you have it. Experts 123 has assignments for every style of writer. If you're still confused, Expertise Columns still fall under revenue-share assignments, but you choose your own titles. Still confused as to what the difference is between WFH and RSA? Here is a little chart so that you can have a quick reference to the guidelines. There are a few weeks left in August, and our iPad promotion is almost coming to an end. We have gotten such a great response with thousands of entries from both new and old users. We couldn't be more ecstatic! So why do you want an iPad? iPads are the newest technology that Apple has created. They are sleek and multi-functional and the new "it" toy for technology lovers. Its slim design fits into any purse or briefcase and taken anywhere: on an airplane, to work, on a car ride, or even to bed! The versatility of the iPad makes it easy to be connected anywhere. Did we mention the accessories? The iPad not only is fantastic on its own, but with stylish cases and protective covers, you can personalize it to fit your own style. 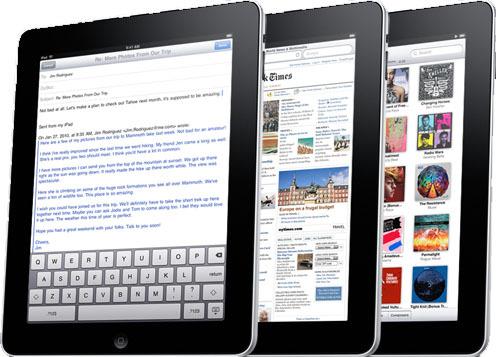 Access videos, your email account, games, and stay in touch with your world with the Apple iPad. You haven't entered yet? Don't worry, you can still register with Experts123 and enter to win a free iPad before it's too late! Remember, the promotion ends August 31, 2010. Happy Friday the 13th, experts! Here's a little present for you. to increase SEO and drive traffic. Keeping in the spirit of increasing traffic and revenue, we decided to let you in on our little secret to making the perfect title for your articles in your Expertise Column. It's quite simple, really. You need to remember to be specific, be truthful, and be engaging. A title can be the reason why your article is getting its traffic. Since you already know how to increase your articles SEO, keep in mind that that is only half of the battle. 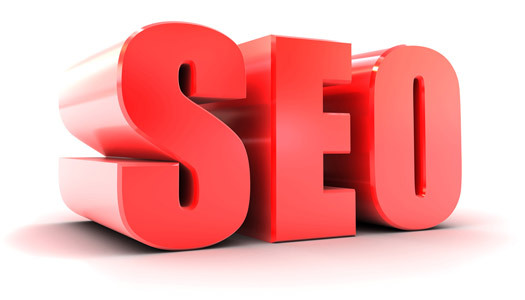 You want to 1) increase SEO and 2) increase traffic. Both of those are very helpful to your pocketbook. Your title should be something that summarizes your article precisely in 4-6 words. Titles that are too short aren't specific enough, and titles that are too long are too confusing. Use those keywords you came up with when you were exploring how to increase your SEO! Don't take your reader in circles with your title--tell them exactly what you are going to tell them about in your article with your title. The worst thing is to click on an article that you think is about one thing, and have it be completely unrelated. That reduces your credibility and makes the reader frustrated. Since having a loyal following of readers is relatively key to consistent traffic, you definitely do not want to break your potential relationship. If you don't already have a large following, an interesting title can be the reason why someone clicks on and reads your article. You want to make sure that it is engaging! For example, when you are considering different links when performing a search, you always click on the one which is most interesting. However, keeping in mind being specific and being truthful, you don't want to offer something that you aren't going to give in the article. Make sure to find the perfect balance between the three. This way your title will attract readers, you will gain a loyal following, and you will make more money! your traffic and your revenue-share. Find your keywords and use them! Put some thought into it. What might people be searching for? If you are writing about French restaurants in Los Angeles, you will want to choose keywords that reflect this. Your title needs to include a combination of broad and specific keywords. If your keyword is too broad, like "Los Angeles" or "restaurants," you will not rank because of the high competition and sheer volume of pages. 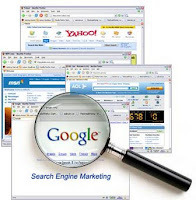 But if your keywords include French restaurants and West Los Angeles, you will have enough specific information to rank and still give people what they are looking for. Once you've found your keywords, it is important to USE THEM! You don't want to title your article something too fancy like "The salad with goat cheese at Le Poulet was the best I've ever eaten," but you don't want to go too obscure either like "The best salad ever." One is too specific, and the other is too ambiguous. Plus, neither titles include your keywords. Be relevant. The last thing you want to do is use keywords that won't be included anywhere in the body of your article. You will want to repeat this keyword in the title, the subtitle, and throughout each paragraph. Your keyword does need to be simple, but it also needs to be descriptive enough that the person who is performing the search knows what message you are trying to convey. A few words here and there or a brief phrase that can be included throughout your article are ideal. Promote yourself! No one wants to read about mediocre French restaurants in West Los Angeles; they want to read about the best. It is key to promote what you are talking about, and include it in your title. It is best to say "Best French Restaurants in West Los Angeles," rather than just simply "French Restaurants in Los Angeles." You have to put yourself in the search performer's shoes. If you saw a link that just said "Food" and another link that said "Best Food," you would definitely click "Best Food!" This is important to keep in mind because when it comes to ranking, every click counts and is a step closer to the top of the search engine rankings. However, if you are describing the best, make sure it really is the best! One way to increase traffic is to gain credibility with your readers. If they like one article, they are likely to read another that you write. See how easy this is? If you keep SEO in mind when you write your articles, you will most definitely experience a spike in traffic, and more consistent traffic for that matter. Experts123 gives you a great platform to voice your insight! To beat out the competition, make the title of your article more appealing! On another note, don't forget! The Experts123 Apple iPad Giveaway ends August 31, 2010. Don't miss out on this great opportunity to share your insight and get a chance to win! Where is the best Chinese food in New York? What is the best hair salon in Los Angeles? What is the best sushi restaurant in Chicago? Experts123 can tell you! From our community of experts we have developed a network of recommendations from one expert to another. Never again will you fear going to a distant city and choosing the wrong restaurant or the wrong spa. Thanks to the referral system we have set up, experts can recommend the best places to go. These recommendations come complete with maps and descriptions. Even if you're bored going to your favorite spots and want to try a new restaurant or ready to change things up with a new hairstyle or outfit, ask the experts! Experts123 has made it easy and accessible to everyone.